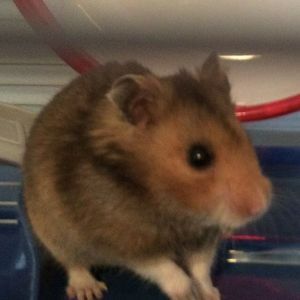 Hammy was the best hamster in the world! He never bit us. The funniest thing was when he pooped in my brothers hair! He would crawl in our clothes. He loved to be held and loved to explore. We love you Hammy! Life Stories provides friends and families a forum to post their favorite stories and memories of Hammy Doerner ensuring the precious experiences are never forgotten. Share joyful times, post a photo that captures the moments you cherish, and allow others to reply, relive and remember.